Haslemere is situated to the east of the A3 on the Surrey-Hampshire border. Leave the A3 northbound or southbound at Hazel Grove junction, just south of the Hindhead Tunnel’s southern portals. Take the A333 northbound to the Hindhead mini roundabouts, and turn right on to the A287 towards Haslemere. Alternative main routes are the A287 from Farnham, the A286 southbound from Milford, the A286 northbound from Midhurst, the B2131 from Liphook and the B2131 from the Chiddingfold-Petworth section of the A283. 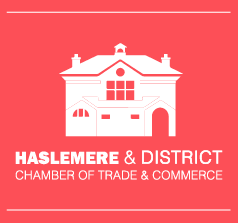 PARKING: There are two short-term car parks and one long-stay car park, run by Waverley Borough Council, in the centre of Haslemere. Another Waverley car park is situated in Weydown Road, near the station. Various pay-and-display tariffs apply: for details, see noticeboard on each site. The Station car park, operated by South West Trains, is primarily for season ticket holders, but some casual space may be available after the morning peak. Free parking (some subject to restrictions) is available in the Wey Hill area. The National Trust car park at Hindhead (The Devil’s Punch Bowl) is a pay-and-display facility, but is free to vehicles displaying a current Trust membership sticker. South West Trains runs fast and semi-fast services through Haslemere, between London Waterloo and Portsmouth. All services stop at Woking, Guildford and Haslemere. There are varied stopping patterns to serve intermediate stations. Change at Guildford for services to Redhill and London Gatwick Airport, Reading and Ascot. Change at Woking for services to Bournemouth, Weymouth and Exeter. Change at Havant for services to Brighton. Taxi services are available at Haslemere Station. Stagecoach operates bus services to Haslemere from Guildford, Midhurst, and Aldershot via Farnham. There is also a local town service in Haslemere, and services between Liphook and Bordon. Evening and weekend services are limited. The museum was founded in 1888 by the eminent surgeon Sir Jonathan Hutchinson to display his growing collection of natural history specimens. The Museum is also home to the Haslemere Visitor Information Centre: email haslemerevisitor@haslemere.com or telephone 01428 645425. The Devil’s Punch Bowl and Hindhead Commons are approximately two miles from the centre of Haslemere. There is a National Trust cafe and car park. The area includes Gibbet Hill, the second highest point in Surrey. Swan Barn Farm is a short walk from Haslemere High Street. Other nearby sites include Blackdown, Ludshott Common and Waggoners Wells.